The Joy Collective's Rainforest Pavilion at Wonderfruit is coming back to JENJA this July. 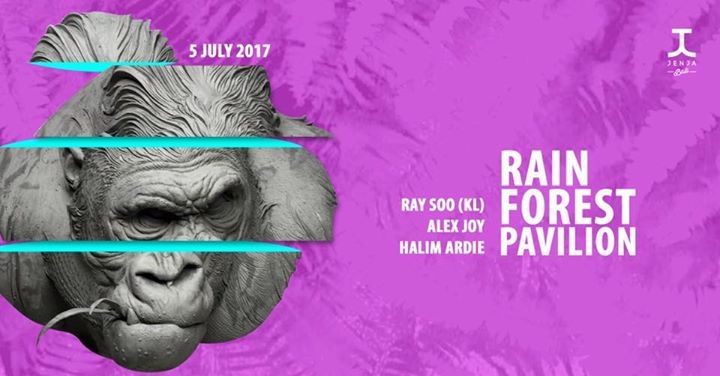 Special guest DJ RaySoo from KL will be delivering top notch beats against the backdrop of beautiful drone footage from the Sumatran Rainforests. Come dance for the perservation of the world's tropical rainforest. Bottles of Belvedere are chilled, and only 1.5 mill IDR net before midnight. Strict door policy: Minimum age 18 (no singlets, flip-flops or beachwear allowed! ).